Complete Online Solution | Make the internet world into your hands: Superstar and Ulaga Nayakan in a Sivaji Films production? 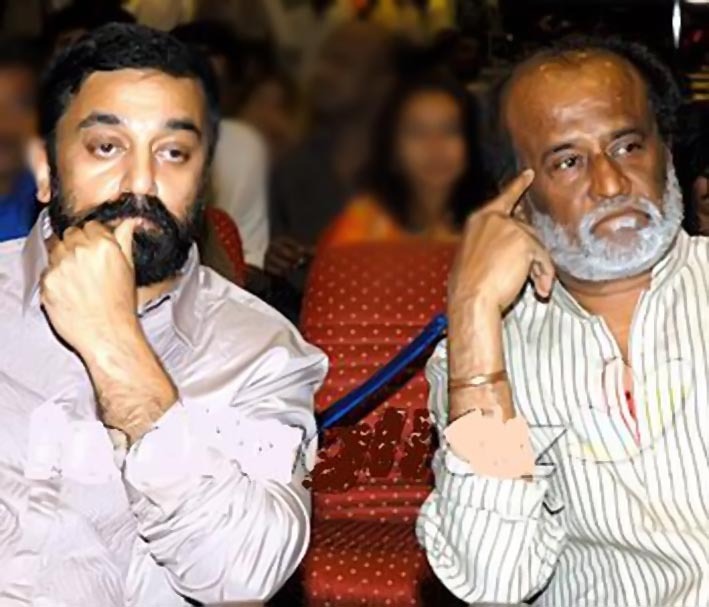 Superstar and Ulaga Nayakan in a Sivaji Films production? The latest hot news spreading in Kodambakkam is that Superstar Rajinikanth and ULaga Nayakan Kamal Hassan are to star in a Sivaji Films production.After doing 'Ninaithaale Inikkum', Rajini and Kamal stopped acting together. They each established their own style and made a name for themselves in the Tamil film field and internationally as well. After every Rajini film release, there is always speculation about his next film. Especially the likelihood of his co-starring with Kamal Hassan. Now that 'Endhiran' is due for release, people are already wondering about his next project. For a few years now, many efforts have been made to bring the 2 stars together in a film. It was said that they would feature in a film by their mentor K Balachander, who had introduced them both in Tamil films. That did not happen. It was then rumoured that Bharatiraja would direct them in a film and Ilayaraja would compose music for it. That also did not materialize. The latest rumour has it that Sivaji Films will bring the 2 superstars together in their production. But there has been no confirmation of this from Sivaji Films.